You have probably heard about Google Home Service Ads (HSA) by now, but just in case you haven't HSA's are a new type of ad that Google is currently offering to select home service providers at the top of the search engine results page. These ads were initially tested in the California market and have expanded to Philadelphia, Atlanta, Phoenix and more are being rolled out soon. The home service industries these ads are being offered to varies by location but have primarily been in the plumbing, HVAC, electrician, locksmith, and garage door industries. Below is an example of what home service ads look like in Google. When are Google Home Service Ads going to be available for the lawn and landscape industry. No one really knows, not even most of the employees at Google including our account representative. Although these ads have been in beta for quite some time they are just starting to roll out to more markets and from what we have seen, it looks like they are still doing some testing. Ultimately these test will determine what the search engine results page will look like in the future once home service ads are available nationwide. But when it comes to Google making changes you just never know for sure how quickly they will roll this out. I would assume that we will not have Google Home Service Ads in the lawn care industry in 2017 and at least the first half of 2018. Why would I think that, you ask. It is about economics, Google is currently testing with home service industries that have considerably higher costs per click in regular adwords advertising than the lawn and landscape industry. 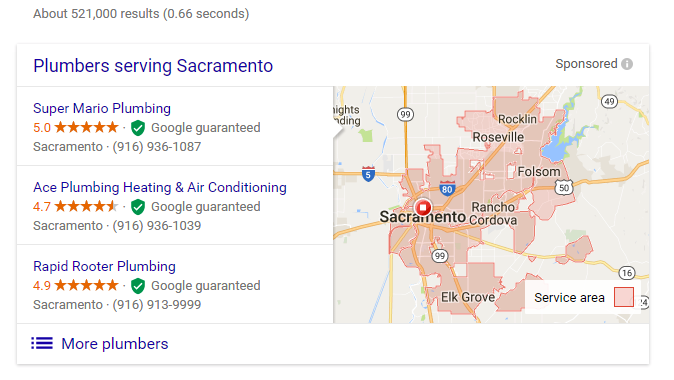 For example in the HVAC industry the cost per click for adwords advertising is not uncommon to be between $40 - $90, and the other industries they are currently targeting are close to that as well. For comparison purposes most of our clients at Lawn Care Marketing Mechanic are paying between $2 and $6 per click for adwords advertising. But that doesn't mean as an industry we can just ignore this new advertising platform. Google is positioning their new platform to change how home service providers including the lawn care industry get leads from online searches for service. Once this program expands to include the lawn care industry, the lawn care business owner that knows how to make the most of Google's latest advertising platform are the ones that will dominate their markets. If lawn and landscape businesses want to be ready for this inevitable change in the search engine results page on Google, they have to understand what Home Service Ads are and how to use them effectively. The Google Home Services platform is designed to connect homeowners searching for reputable home service providers, similar to Home Advisor, Angie's List, and other referral companies. Google has made this process easier by including it in the search engine results page and appealing to users by including the company's average review rating in addition to the "Google Guarantee" shield next to the business. To understand why you need to be doing the things I will cover later in this article, it is important to understand how Home Service Ads work. When someone enters a search query in Google for a home service with these type of ads. A sponsored ad box will appear, currently with 3 businesses listed and an option to see more providers. When you click on any of the businesses listed, you will be taken to a screen with the business you clicked on expanded with additional information about the company and their reviews. You can then click send request, and Google will prompt you to then select 2 more providers. Someone is not required to select 3 providers and could just press next if they choose to. Whether they selected 1, 2, or 3 providers once they click next they will be taken to a screen to gather more information about the services they are requesting and their contact information similar to Home Advisors process. Then they submit their request and wait for a response from the company or companies. You might be wondering why Google would change to this new platform instead of staying with the existing pay per click ads. It really comes down to MONEY. For Home Service Ads Google charges per lead, so instead of charging one advertiser for a click they have the opportunity to charge up to 3, thus earning them more money. But that is not the only difference, Google is trying to provide a better experience for users and delivering the best possible results to the search query. They do this in a couple of ways. First, ads are ranked with Google Guaranteed companies on top. These are companies that have had background checks completed on the owners, their employees, and the company. Second, ads are ranked based on online reviews not just the aggregate rating but the number of reviews the business has. Not uncommon for Google, they haven't disclose all the ranking factors associated with Home Service Ads, however one additional ranking factor has become obvious and that is timely response to requests. What does this mean for my lawn and landscape business? This means that the future of search results for our industry will change eventually. Quite honestly we are in a good position as an industry to learn from the experiences of home service providers that are currently going through this change. If you have been using traditional search engine marketing or relying solely on organic traffic you will need to start making the necessary adjustments to compete once the Home Service Program expands to our industry. You will need to start focusing on your online reputation by having a process in place to get more reviews online especially on Google. In addition to getting more reviews, you also need to have a process in place to respond to reviews. Here at Lawn Care Marketing Mechanic we provide all of our customers with reputation management tools to not only solicit reviews from their clients but to monitor and respond to them quickly. While we are talking about reviews it is important to remember that your online reputation and how you respond to reviews will influence future prospects opinion of your business for years to come. Not sure how to deal with negative reviews, you can read an article I wrote about how to handle customers that complain and responding negative reviews here. In addition to maintaining a great reputation online, you also need to ensure that you have a process in place to quickly respond requests for pricing and services. Remember that you are likely competing against 2 of your competitors for this lead. So having the staff and process in place to respond quickly to request is essential for your success. The next thing you need to focus on might surprise you, and that is your brand. When you look at traditional adwords advertising you have headlines and text with call to actions and have some ability to stand out from your competition. With Home Service Ads it is just the name of your business and a Google tracking phone number, so if your business has a strong brand in your market you will likely get more requests. If you have been relying solely on organic traffic you may be in for a rude awakening once Home Service Ads hit our industry. With these new ads on top of the search engine results page with review stars and Google Guaranteed shields, Google is doing everything they can to encourage people to click on those ads. No one really knows for sure how the search engine results page will look once this is rolled out nationwide and in our industry, but in all likelihood the organic listings will be pushed further down the page, well below the fold so people will have to scroll further to find you. On mobile devices the conversions are also much easier with ads as they are all click to call, instead of clicking on a website and then finding and clicking on a phone number on the webpage. What lawn care companies should do right now? The big question is what should you do right now in preparation of Google Home Service Ads for the lawn and landscape industry. If you are in a larger market and want to get ahead of the competition, Tell Google You're Interested! You can actually get signed up to be notified once Google Home Services is in your area. Make sure you use the category that your business is using in Google My Business. 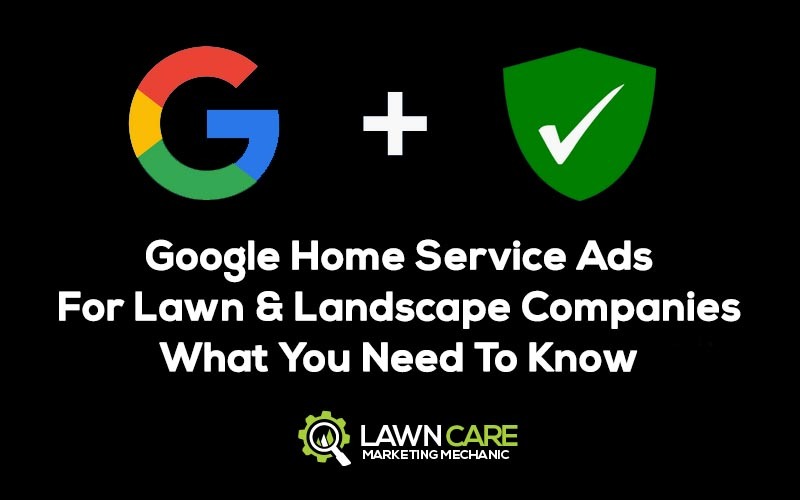 It may seem a little early to start preparing for these changes, but once the Google Home Service Ads go nationwide and get rolled out to the lawn and landscape industry being in the top three results as a Google Guaranteed service provider will be a huge perk for your business. If you are interested in learning more about how partnering with Lawn Care Marketing Mechanic can keep you ahead of your competition, give us a call at 479-276-4357.